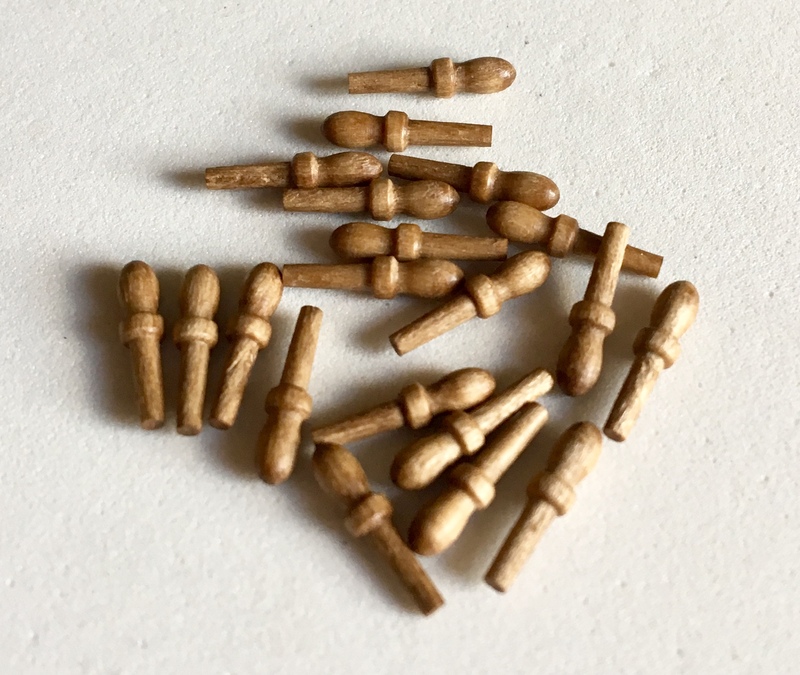 It was thought that these "quick release"wooden fastening pins for securing the running ends of the running rigging appeared in the mid-17th century. 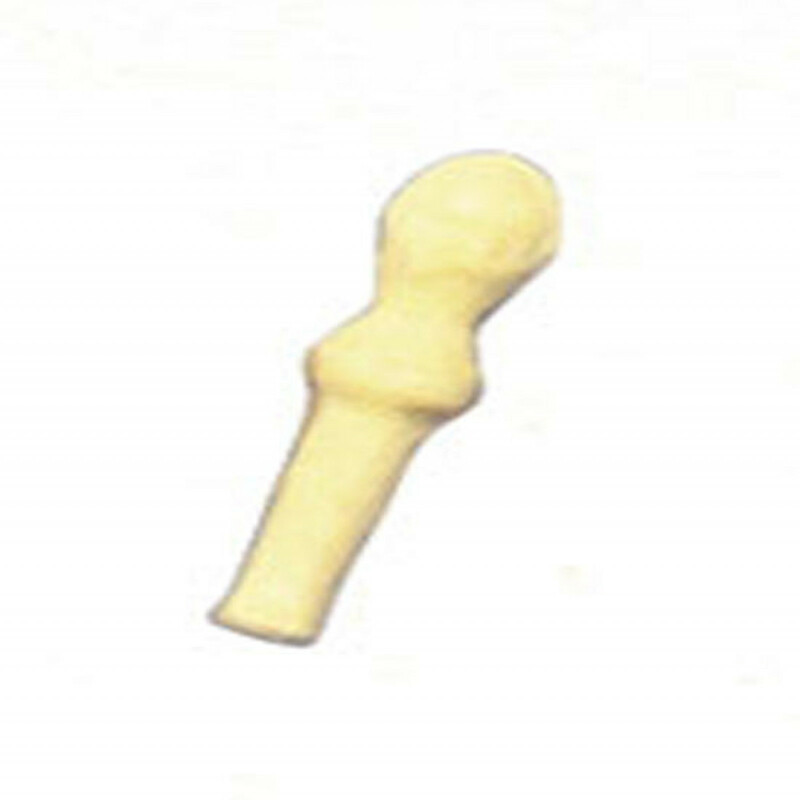 However, belaying pins were found during the excavation of the Mary Rose, sunk in 1545, indicating that they were used at least 100 years earlier. Falkonet - F60WN - Wood (Pear Wood) Belaying Pins - 6 mm - 10 to a package - The real deal! 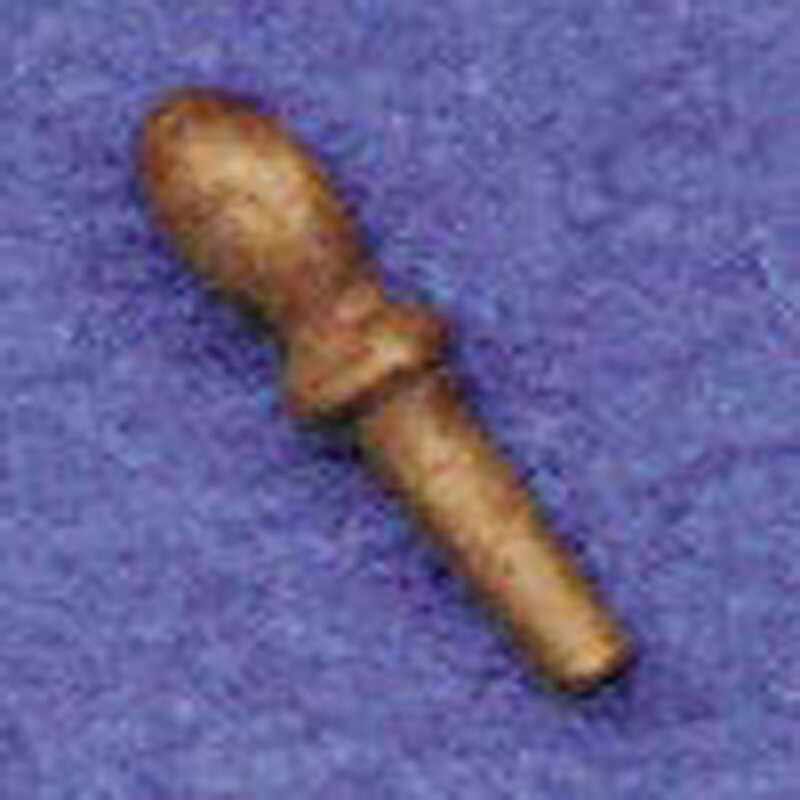 Falkonet - F90WN - Wood (Pear Wood) Belaying Pins - 9 mm - 10 to a package - The real deal!